Bollywood, as an industry is growing at a rapid pace and innovation, is the name of the game. The filmmakers nowadays are leaving no stone unturned in the making of their projects and everything is intensely scrutinised. Karan Johar is a master strategist and his production house is coming up with yet another film i.e. ‘Student Of The Year 2′. Earlier, the trailer of the film was released and also the lead cast of the film was unveiled. Tiger Shroff, Ananya Panday and Tara Sutaria are the lead characters of ‘SOTY 2’. Another addition in the cast is also actor Aditya Seal who was seen in the trailer as the one who challenges Tiger’s character. Aditya will be essaying the role of Manav in the film. After starring in films such as ‘Tum Bin 2’, ‘Namaste England’, the actor is now starring in a big budget film. Karan Johar has now released a new poster featuring Aditya. The actor is seen standing outside the gates of St. Teresa’s the school that the film’s story is based in. Aditya is in his full swag and ready to battle it out with Tiger. 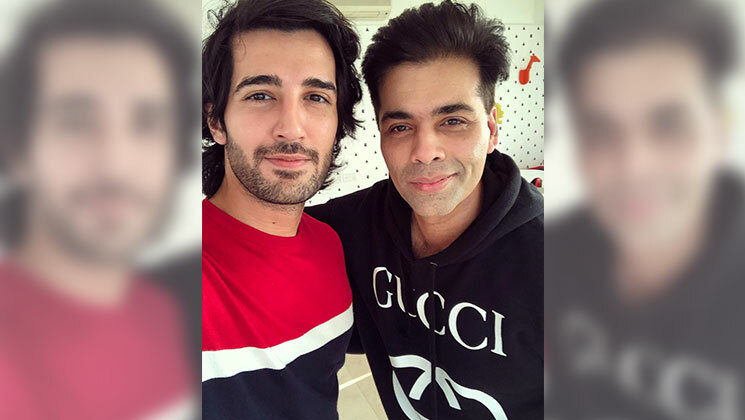 ‘Student of the Year 2’ is being helmed by Punit Malhotra and will be hitting screens on May 10, 2019.